Twelve-year-old Jadiel is forced by her evil stepmother to fetch the rejuvenating leaves from the Eternal Tree by next full moon or her father will be killed. Twelve-year-old Jadiel is forced by her evil stepmother to fetch the rejuvenating leaves from the Eternal Tree by next full moon or her father will be killed. On her journey, she encounters Callen, her uncle’s apprentice, a young man looking for a mysterious bridge. Together they chase after confusing clues, which lead them into danger and ultimately the treacherous Land of Darkness. In the end, they find more than they are looking for. 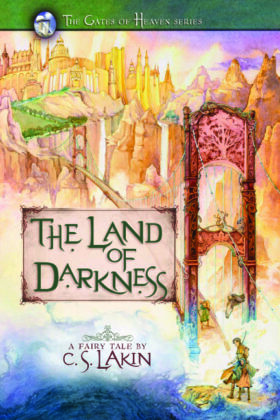 The Land of Darkness is a fairy tale rich in biblical allegory and points to the bridge that links the mortal with the immortal life—one that can be seen only with eyes of faith. Book 3 of the The Gates of Heaven series.